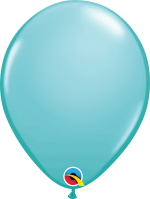 Caribbean Blue latex balloons, perfect for any occasion either on there own or part of a display. Let Caribbean blue bring a spark of colour to your event and brighten up the room! The Caribbean Blue latex balloon brings a splash of summer along with it and is used for any occasion including wedding's, birthday's, anniversaries, corporate events ect.